Starting this year, Dunkin’ Donuts at Norris University Center closes at 4 p.m. Monday through Friday. Data collected over the last two years showed the revenue generated between the new closing times and the old made up only a small percentage of the daily revenue at Dunkin’ Donuts. 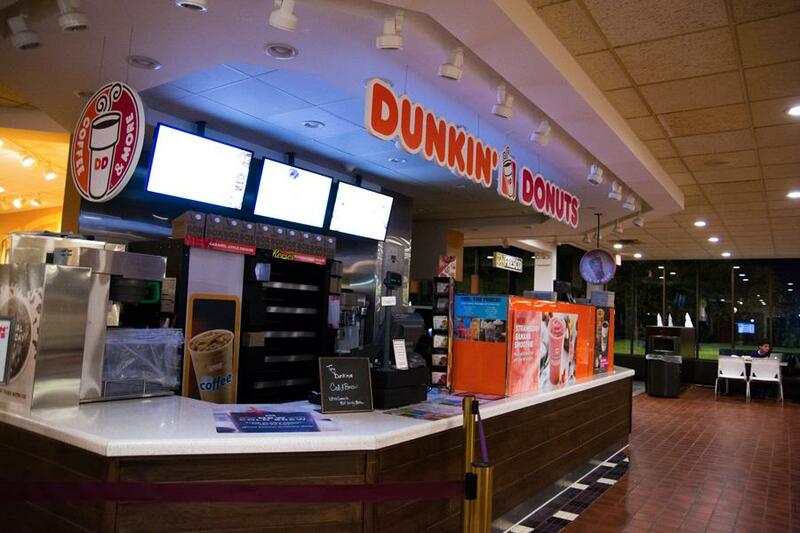 Students looking for a late-night snack in Norris University Center will no longer be served by Dunkin’ Donuts or International Dish following reduced hours that went into effect this academic year. Dunkin’ Donuts now closes at 4 p.m. and International Dish stops its service at 3 p.m. as a result of adjustments to the dining locations’ hours. Data collected from both sites over the last two years showed the revenue generated between the new closing times and the old made up a small percentage of both locations’ daily revenue. Ken Field, director of dining, said on average, Dunkin’ Donuts only generated 2 percent of its sales between 4 p.m. and 11:45 p.m.
Weinberg junior Christine Schlaug has worked at Norris for two years and said she noticed the building clears out in the evening. However, because Schlaug often works later shifts and prefers to study in Norris, she said it is not ideal that her dining choices are limited in the evening. To remedy the earlier closing times, a coffee station is set up in the Norris C-store after 3 p.m. To make up for the loss of International Dish in the evenings, NU Sushi has begun to offer a selection of noodle bowls that become available as soon as International Dish closes, said Jeremy Schenk, executive director of Norris. In addition to adjusted hours, students using debit or credit cards to pay for food items on campus are required to show identification as well as sign their receipt upon purchase. This procedure falls in line with regulations set to ensure all businesses that accept card payments maintain a secure environment. Norris is also hosting a series of pop-up dining events throughout the year to add variety to the student center. After observing successful pop-up dining events hosted at the Donald P. Jacobs Center for Kellogg students, Field said he hopes to bring similar events to Norris for undergraduates. On Thursday, there will be a luau featuring Hawaiian-inspired food on the Norris ground floor, Schenk said. “We’re trying to help make Norris a destination so students who are in that area will come over and feel comfortable in the space and feel like there’s options,” Field said.